In an attempt to overcome my whining and complaining about life, and my man cold we attempted to have some fun this week. And took a few nice photos while we were at it. First, an impromptu day trip to the mountains. I always feel better about life when I can spend time in the mountains. Somehow I am always more peaceful and content. 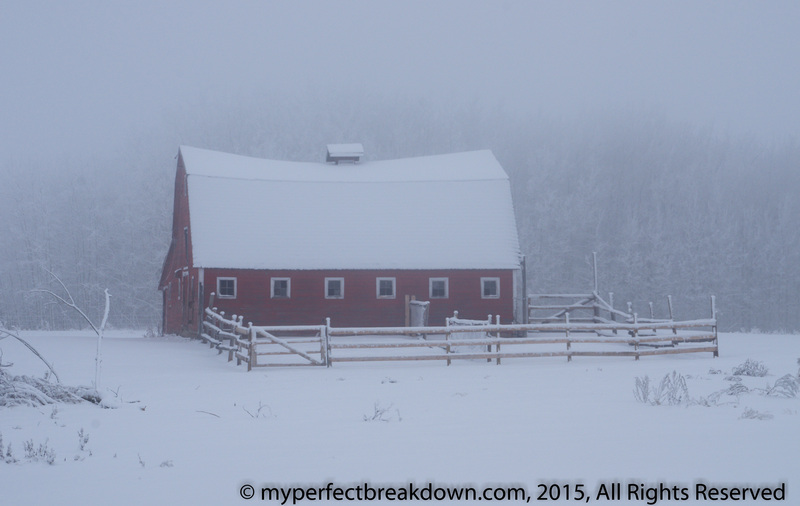 Second, a beautiful barn in a winter wonderland. 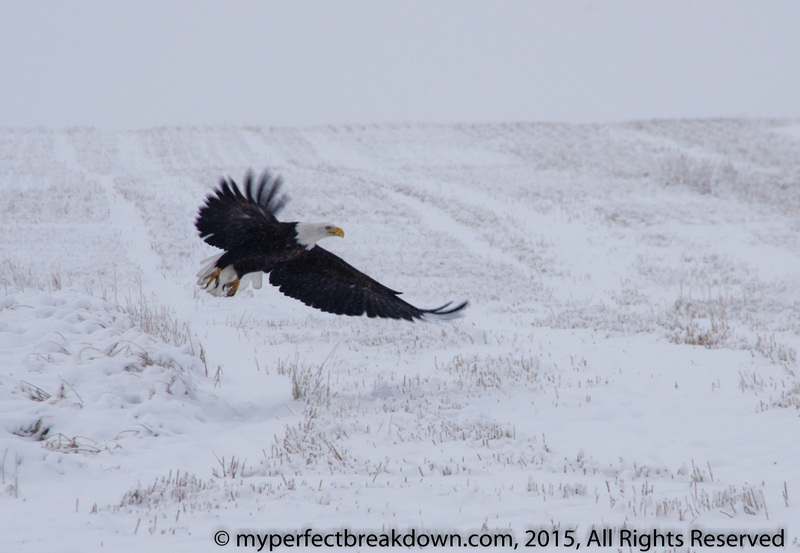 Third, a surprise stumble upon this beautiful bald eagle. ← Adoption Choices: Why Open? Very pretty! We still have no snow…actually it was 74 out yesterday! Hope this made you feel better! We’ve had a good amount of fog here, too! 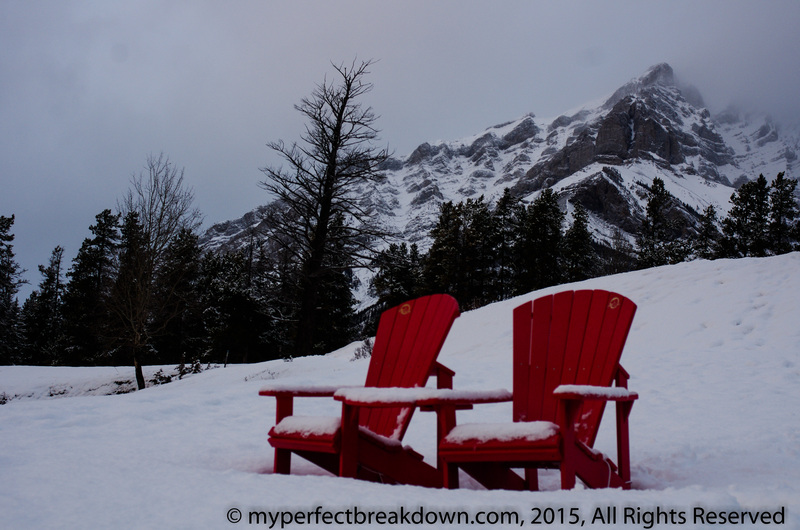 Hoping for very little snow this year at all! So far not a flake in sight here in South Ontario! it was 10 degrees last evening!! It feels like early spring here. We did get some snow! Although truthfully we haven’t had much snow and the temperatures have been rather warm all winter so far. Snow snow snow!!!! As Amy said it has been weirdly warm, shorts type, weather here!!! I am jealous. It’s been weirdly warm here too! Not shorts warm, but still warm. That bald eagle photo made my week. I love it so much I may just frame it. As for the cold, I cannot seem to kick it. It’s really the worst cold I’ve had in at least a few years! Lovely! I agree with all the others that the snow pictures are particularly striking when temps are in the 60s here this weekend. 🙂 Your beautiful pictures kind of make me excited for snow, actually! So pretty! I miss the snow! Wow that bald eagle photo is stunning! Glad you got away!